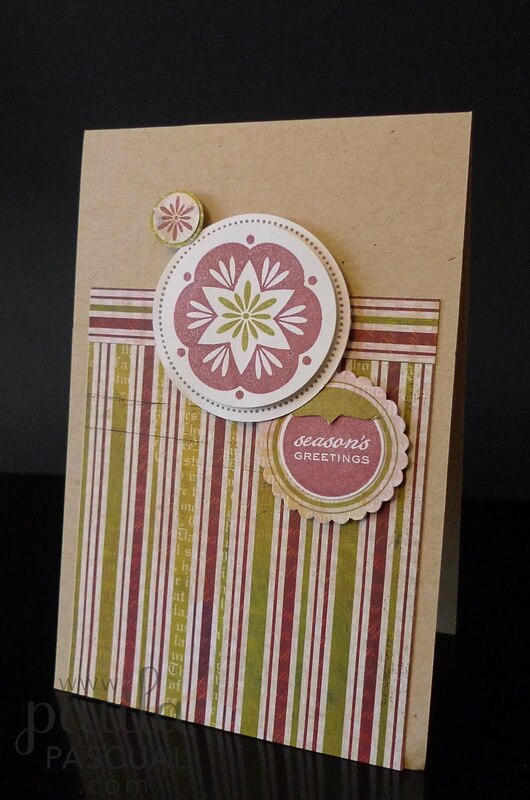 Simple but using the new Jovial papers from Basic Grey, which gave me the colour scheme for the card. I used Filled with Flowers stamps for the flowers and then the Christmas essentials for the message that sits on top of a Circle Tag. I need to get ready to pack up for The Craft Barn, so I am off. love your cards and stamps...wish I could get them in Canada! These stamps are wonderful- I thought the flowers wouldn't be ones I'd want- but you show how elegant, spare and powerful they are- I want them too, now! And I don't like flowery cards, up until now, so you've changed my mind!